Welcome to the 2014 Matinee Culture fall pilot watch. As usual, this fall Ryan will be watching (almost) all of the scripted network TV pilots and bringing you some brief reviews, hopefully cutting down on the time you might otherwise waste checking out “Selfie.” Shows will be rated on a scale of “Watch it,” “Try it,” “Skip it” or “Avoid it.” Let’s dive in! This week, Ryan reviews “Mulaney,” “The Flash” and “Cristela.” All times are eastern. One-sentence summary: Let’s not avoid the obvious: it’s like “Seinfeld” but with different actors. Lest you doubt the veracity of my one-sentence summary, let’s run down the premise from “Mulaney,” so named for its star, stand-up comedian and former “SNL” writer John Mulaney. Mulaney plays a version of himself, a stand-up comedian whose comedy bits bookend the episode and provide topical commentary on the events therein. He hangs out with two men and one woman, and one of the men (Zack Pearlman) is weird and off-putting. Oh, and both Mulaney and Seinfeld are bad at acting. It pains me to say this, because Mulaney is a very funny stand-up and writer (his most widely-known work is likely the Stefon sketches on “SNL”), but here it is: the pilot of “Mulaney” is cringeworthy in its unfunniness, and its failure is due in large part to things that make Mulaney the comedian so funny. Don’t get me wrong; the other actors and situations are pretty terrible with a couple of exceptions (a running gag about an unfinished joke starts out lame but gets much better). However, a large portion of the situations Mulaney finds himself in are pulled straight from his stand-up routines, and they do not come off well in the transition from a bit to a scene. Unfortunately, it’s Mulaney himself who often causes these scenes to fail; he always sounds like he’s monologuing, not conversing, and the whole affair rings totally false. It’s possible everyone needs a few episodes to loosen up, and because of the pedigree, I might be willing to stick it out for a few weeks. However, the average viewer can’t be expected to do the same. Right now, the bright spot appears to be that Mulaney only has two stand-up albums out; at the rate the pilot cribs from that material, he’ll have to start writing new jokes by episode six. Ryan’s rating: Skip it unless you can’t resist the talent behind the show, but you’d be much better off listening to Mulaney’s specials. One-sentence summary: A spin-off to “Arrow,” “The Flash” follows the young crime scene investigator Barry Allen (Grant Gustin) as he is struck by lightning and learns to be the fastest man alive. “The Flash’s” pilot does a lot of things well. It provides an origin story, it explains the power set and cast of characters, and, perhaps most importantly for a CW show, it doesn’t get weighed down in angst. That said, most of the time, the episode is workmanlike. With a few exceptions, the pilot knows what is expected of it and then meets those expectations. It does so well, but it’s generally lacking in the panache that really hooks me in. But then there are those exceptions. The Flash of the comic books can get into some pretty weird situations, and there are some tantalizing hints of that here. 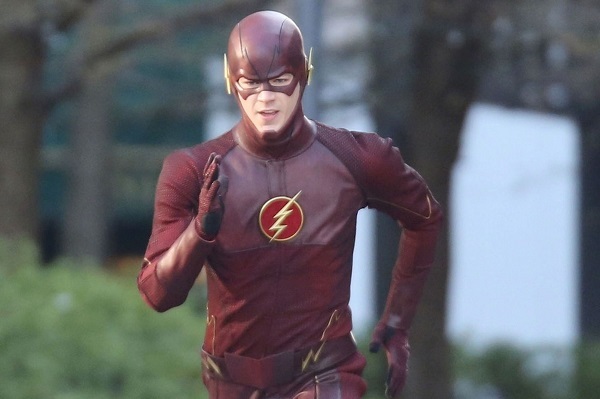 The episode is bookended by a couple of pretty odd scenes, and the final one in particular suggests that “The Flash” could offer a pretty unique take on the superhero TV show. Besides that, the cast is likable, the special effects are serviceable, and the show seems to have a good handle on the kind of plots you can write about a man who runs really fast. If that sounds good to you, you’ll probably like this. One-sentence: Based on the comedy of stand-up Cristela Alonzo, “Cristela” stars Alonzo as a sassy-but-clever legal firm intern who must juggle her job and her needy Hispanic family. The show is pleasant enough, but there are still a few dead spots. Many of the jokes don’t quite land, and supporting characters played by Gabriel Iglesias and Terry Hoyos are grating and slow down the action. 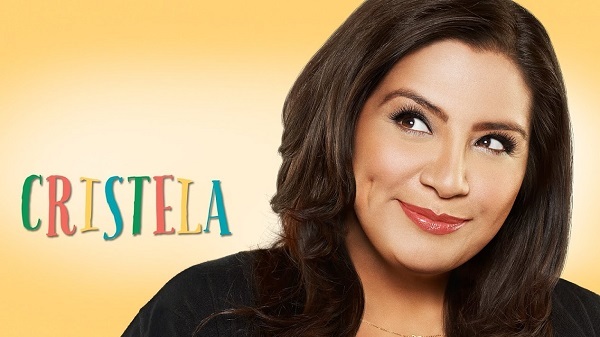 Still, “Cristela” has the potential to develop into a perfectly fine thing to chuckle at if you’re in on a Friday night. Ryan’s rating: Try it if you’re into the format.